We've had a good tape week here at the CCPS, mostly because we finally picked up a couple of tapes that have been tempting us at the front of Sloth for a while. We, as the kids say, "gripped" some soon-to-be "rarez". The first is this amazing bit of 8-bit mastery from Bart Records mastermind Kevin Stebner. Turns out, this is the perfect soundtrack for our crippling addiction to Team Fortress 2 (wonder why we're light on posts some months? It's probably because it's easier to play TF2 than to write 100 words). Here's a video of Stebner rockin' the Nintendos at Olympic Plaza. The best thing about an Olympic Plaza show is, of course, watching the audience. It takes all sorts, eh? 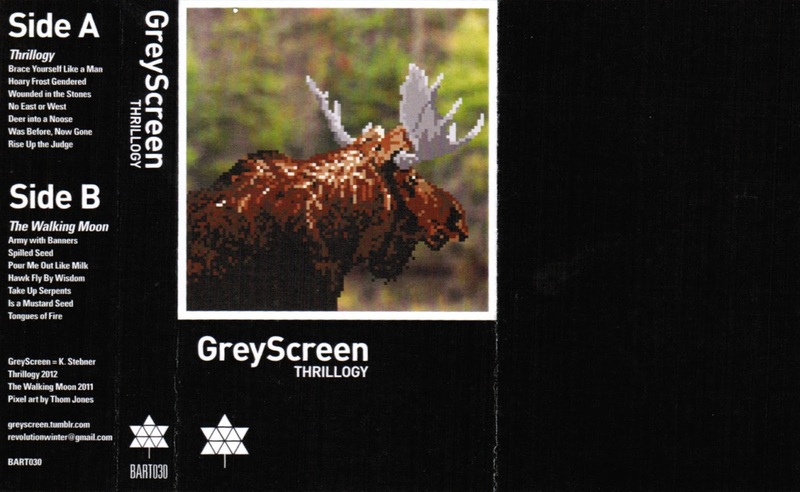 You can download this from the GreyScreen bandcamp.